Jean-Claude Baumgarten (67) could be considered an Air France veteran but between spells with that airline he has been involved in a number of industries including mutual funds and insurance. His last tenure with Air France started in September 1993 as Vice-President for the Americas and Asia. 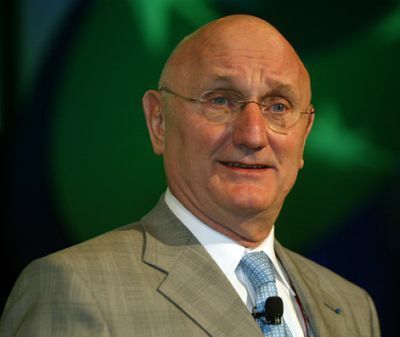 In February 1996 he became Executive Vice-President of Corporate, International & Industry Affairs. From December 1997 until July 1998, prior to leaving the airline, he held the position of Advisor to the Chairman. In October 1999 he was appointed President and CEO of the World Travel & Tourism Council. I clearly remember starting life at the World Travel & Tourism Council (WTTC) ten years ago. Since then technological change and advances in transport and communication have made the world more accessible to more people. Higher incomes and increased leisure time in industrialised countries contribute to growing tourism demand. As countries develop, the aspiration to travel increases among its residents. China and Eastern Europe are examples of the improvements in freedom of movement not achievable even ten years ago. One thing that remains unchanged however is my dedication to promoting the message of WTTC’s mission: the importance of Travel & Tourism, one of the largest industries in the world. Regrettably, this message is yet to come across fully. While the Chinese and Brazilian governments and the European Commission have recognised that Travel & Tourism is one of the key pillars to economic growth, the UK and other individual countries have a long way to go to realise the magnitude of this industry that creates 235 million jobs and accounts for 9.2% of the GDP globally. At our Global Travel & Tourism Summit in Beijing leaders of the industry in particular identified airport security measures, ineffective air traffic control and airline routes, restrictions on airport expansion, unfair taxation such as Air Passenger Duty, visa policies and prohibitive legislation as barriers to tourism. The ash cloud crisis was also handled badly by governments. While they were initially right to take precautionary measures, restrictions were undertaken without proper consultation with those most affected. Tourism is now being hit with a double whammy: the loss of business as planes were grounded and now the cost of reimbursing passengers. In light of such events WTTC plays a crucial role in advising governments of the benefits Travel & Tourism brings to their country; jobs, wealth, environmental sustainability and social development. The industry has a comparative advantage in that its start-up and running costs can be relatively low compared with many other forms of industry development. It is also often one of the few realistic options for development in many regions. Unfortunately, the UK is not alone in creating barriers to tourism growth. Germany is to impose an air travel tax of up to US$1.3bn a year from January; the Maldives Government is considering the same. While the recent tourism speech by UK Prime Minister, David Cameron, is a good step forward, it is far past time given the £115bn profits Travel & Tourism contributes to the UK economy. Often the barriers facing the tourism industry are related to insufficient clarity, and poorly thought policies over regulation imposed by governments. This is why we believe the private sector needs to be consulted on to help manage the future growth of the industry so as to minimise its impacts on the environment and host communities whilst maximising the benefits it brings in terms of jobs, wealth and support for local culture, and protection of the built and natural environment. We are already doing great work. Our recently launched Best Practice Gateway, is one example featuring advice and data on good practice across the industry, helping other businesses and destinations in their sustainable practice. Therefore, we call on all governments and the European Commission to re-examine their policies towards the industry. To achieve the goals and challenges set for the Travel & Tourism industry as it continues to grow requires a strong partnership between governments, national tourism authorities, trade unions and the private sector. All stakeholders now need to share the responsibility for Travel & Tourism’s future.